Prairie Dogs - In A Colorado Minute (Week 203) from Luci Westphal on Vimeo. 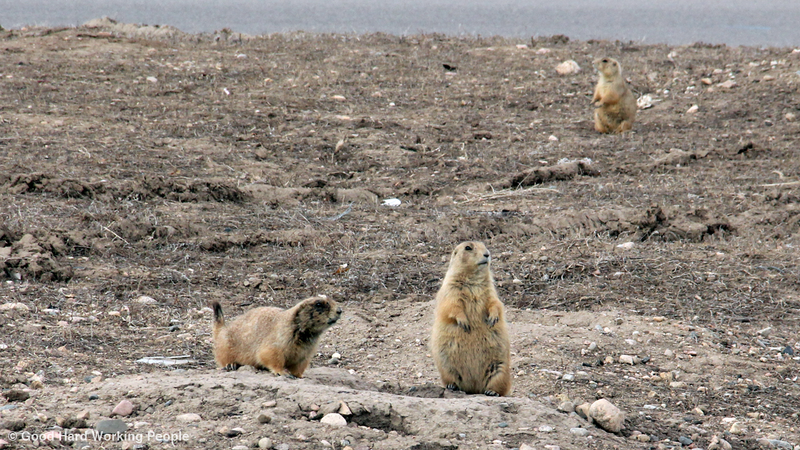 Prairie dogs (Cynomys ludovicianus) can be found all over the North America's prairie and grasslands, including right here in Fort Collins, Colorado. Considered a disease-carrying pest by most locals and an easy to find shooting target for others, I'm sure I'm not the only one who thinks they're rather adorable looking. What struck me most about these critters was how absolutely still they can sit or stand when they sense danger. Whiskey is almost as still when she does her "prairie dog" stance, which she happens to be doing right now next to me... begging for treats. Tststs. The music in this video is called "Rain Hogs" and was written and performed by Jason Matherne.